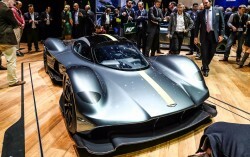 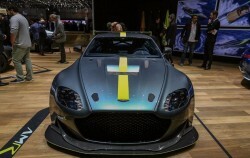 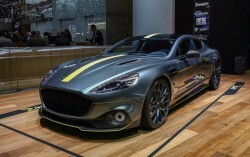 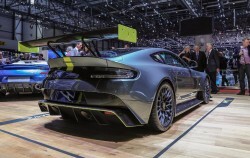 Aston Martin had a strong showing at the Geneva Autoshow this year with two of its AMR models on show. 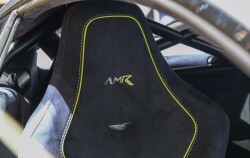 The new AMR cars included a V8 Vantage AMR and Rapide AMR. 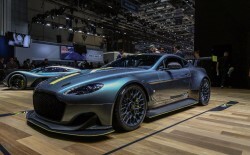 Both models were sporting a far more aggressive racing front bumpers and a lot of carbon fiber. 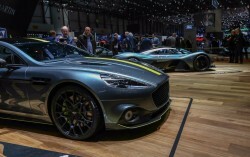 The new Vanquish S model was also on display and the soon to be released hyper car - the Valkyrie.